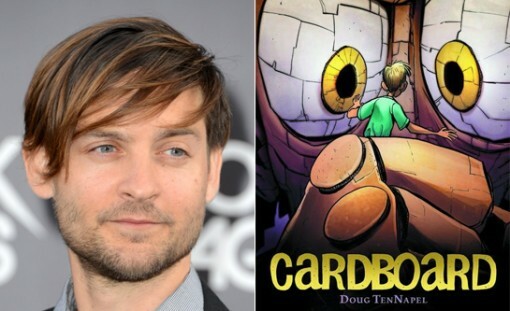 Doug TenNapel’s graphic novel Cardboard is being produced as animated feature by Fox Animation, Chris Wedge’s Wedgworks and The Gotham Group. Variety reports that actor Tobey Maguire will also be involved as producer and possibly lends his voice to the film as well. Blue Sky co-founder Chris Wedge (Ice Age) may also step in as director. 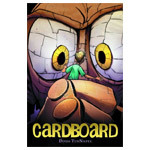 The book tells the story of an impoverished widower and his son and a cardboard box that magically comes to life as a boxer named Bill and changes their life. Fox Animation and Blue Sky Studios are now in post-production on Wedge’s Epic, a 3D CG-animated action-adventure film, based on the book by Oscar-winning writer/director and producer William Joyce, which is due in May 2013. TenNapel is the creator of the videogame and 1995 animated series Earthworm Jim and Nickelodeon’s Catscratch series (2005-2006). Other TenNapel projects in development include Ghostopolis at Disney and Monster Zoo at Paramount.